Have you ever wondered how many out of Disney's eleven official princesses have blonde hair vs. black, or how many have brothers and sisters? The following collection of detailed charts will tell you! 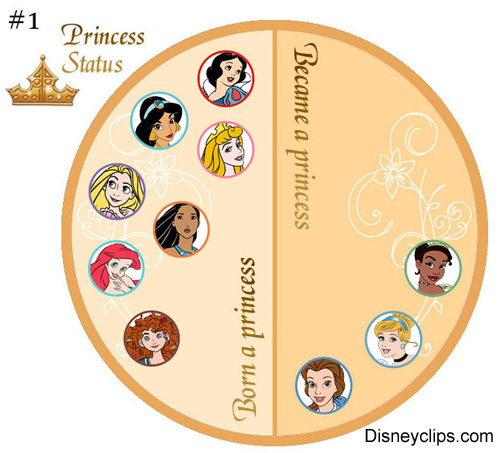 Let's begin with the Princess Status Chart. This one tells us that most Disney princesses were born a princess. In fact, only Belle (Prince Adam), Cinderella (Prince Charming) and Tiana (Prince Naveen) married into royalty.